I promise this will be my last post related to being sick, but I just have to share. When you’re stuck with a nasty cough, Halls cough drops can be your best friend. But why keep them in that ugly bag? My hubby came up with the idea to put them in this cute little cup! And when I asked him to pick up a of Kleenex he found this box with a pretty bamboo print. Aren’t husbands great?? Just because you are sick doesn’t mean you have to sacrifice style! I can’t remember where the cup is from (Pier 1 maybe? 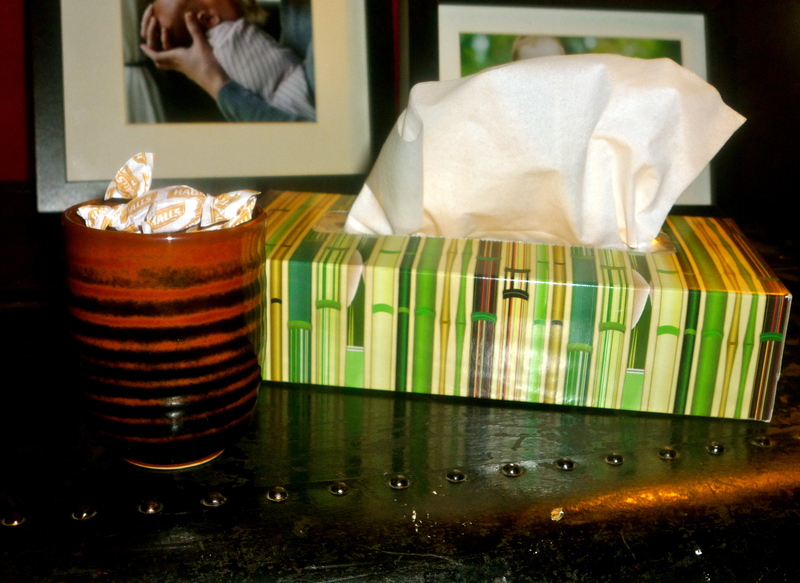 A friend gave us a set of five a few years ago), but the Kleenex are from Whole Foods.